Contaminated water leak from the Reverse Osmosis apparatus found yesterday was probably caused by over-tightening the cap of the flow meter attached to the apparatus, TEPCO says. I think the lack of skilled workers at Fukushima I Nuclear Power Plant has started to show more conspicuously in the past few months. According to TEPCO, they disassembled the flow meter on June 20 to clean the window of the meter. When they reassembled it, they over-tightened the cap, causing it to deform and crack. But the leak didn't happen immediately because of the rubber gasket. TEPCO's solution is to replace the entire flow meter the next time the window gets dirty, and not bother trying to clean the window. #Nuclear Japan: Minister of Economy Declares (Again) Nuke Plant Researt in Fall, NRA Self-Congratulates on Its "World Toughest Safety Standard"
The minister who also ordered Fukushima decommissioning to be done "ahead of schedule" says nuclear power plants will be restarted in fall, and that it will be up to the NRA to decide. He said the same thing back in April. I guess he subscribes to the idea that if you keep repeating it it will happen. How a group of paltry 80 people at Japan's Nuclear Regulatory Authority/Agency can adequately assess the safety of nuclear power plants in less than 3 months is a mystery to me. One of the NRA's commissioners said it will take about six months (even that looks short), but he was thinking of inspecting only a few nuclear plants. Nuke plant operators are set to flood the NRA with requests for restart. Here's Hokkaido Electric Power Company submitting restart requests for all three reactors. Good luck, NRA. You asked for it. Minister of Economy, Trade and Industry Toshimitsu Motegi said in the evening of June 20 during the recording of a BS-TBS TV program that the restart of nuclear power plants under the new regulatory standard that will become effective on July 8 will be "in the fall at the earliest. It could be in winter. It's up to the NRA to decide." The earliest restart may be this fall, according to him. By the way, NRA is very proud that it has managed to create, at least in their minds, the toughest safety standard for nuclear power plants in the world, in less than 10 months since the establishment of the organization. I don't know what basis the chairman and commissioners claim their standard to be the world toughest. I guess non-experts like us are supposed to take their words for it. NRA Chairman Shunichi Tanaka said during the regular press conference on June 19 that the new regulatory standard for nuclear power plant that was decided on that day was "exactly what we intended, as we have been doing our best to come up with the toughest standard in the world. The true test of the new standard will come when we actually apply it." Chairman Tanaka said, "We are told by people around the world that what's missing most [in Japan] is not just standards written down on paper but the safety culture." "The safety culture cannot be built overnight, but as the tough new standard is being enforced, I hope nuclear plant operators will learn that things may not work out the way they want, and they will experience what it is to be safe", Tanaka said. Good luck with your "hope", Dr. Tanaka. Don't you know "hope" has been a dirty 4-letter word? Besides, I thought all Japan had before the Fukushima I Nuke Plant accident was the safety culture - plant operators, regulators, and nuclear experts felt so safe that they decided not to think about anything bad, like a nuclear accident or 10-meter high tsunami. The "world toughest safety standard" for nuclear power plants in Japan will become effective as of July 8, 2013, "ahead of schedule". The original schedule was July 18, 2013. To officially have this new standard 10 days earlier than planned is for some unknown reason considered a good thing. Ever since LDP took back power under the prime minister with chronic stomach ailment, "ahead of schedule" seems to be in vogue. So that they can all run to the toilet, I suppose, with Prime Minister Abe at the head of the pack. In the previous update, TEPCO said the leak was about 360 liters. Despite the top sell by Japanese Prime Minister Shinzo Abe, Poland has announced it is postponing the construction of two nuclear reactors because of domestic shale gas development, according to NHK. 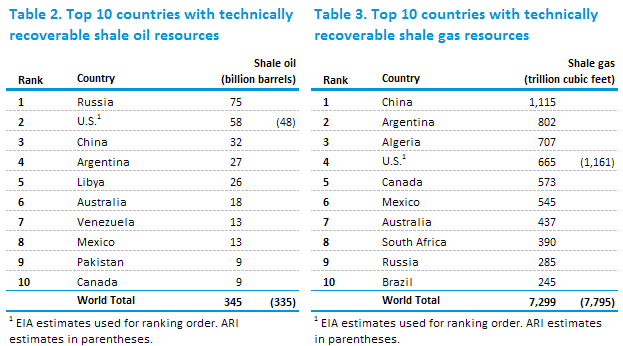 Just recently (June 10, 2013), the US Energy Information Administration released a report detailing the shale oil and shale gas resources in the world. Looking at the map below, not just Poland but the entire central Europe all the way down to Turkey doesn't seem to need nuclear power as long as they can develop their shale oil/gas resources. No nuclear needs in three Baltic nations either. Just as I was wondering in my previous post, TEPCO confirmed they found a pinhole in the other Batch Treatment Tank of the same line (Line A) of ALPS, multi-nuclide removal system contracted by Toshiba. There are three lines (A, B and C) in ALPS, and each line has two Batch Treatment Tanks which receive contaminated water which has been treated by SARRY (cesium absorption). Concerning the small leak of contaminated water from a tank in ALPS multi-nuclide removal system at Fukushima I Nuclear Power Plant, TEPCO announced on June 20 that the other tank in the same line had a pinhole in the weld. According to TEPCO, there is no leak from the hole. According to TEPCO, there are two tanks each in the three lines of ALPS to store contaminated water. After the discovery of the leak in one tank, TEPCO inspected the other tank and found a pinhole in the weld, just like the first tank. This line [A] was conducting the test run, but since stopped after the discovery of the leak. There is no contaminated water in the tank where a pinhole was discovered this time, according to TEPCO. TEPCO at least has some wits about them to inspect the other tank. What a surprise. Now, how about the same tanks in other two lines? What about other tanks and vessels that are all welded? I'm sure the Nuclear Regulatory Authority, very proud of their "world toughest safety standard" they managed to come up with in less than 10 months, will make sure every weld is done properly. (UPDATE) TEPCO says the leak is about 360 liters. Another day, another leak at Fukushima I Nuke Plant. Today (June 21) at about 2:58AM, we found that the leak detector for the Reverse Osmosis (desalination) system) No.3 was activated. A worker from our affiliate company discovered the leak at 3:03AM, and RO-3 was stopped. The leaked water is all inside the barrier of the building that houses RO-3, and there is no leak outside the building. There is no significant change in radiation levels measured at monitoring posts. Additional information (or stating the obvious) on the leak from one of the ALPS (multi-nuclide removal system) tanks Fukushima I Nuke Plant. TEPCO announced on June 18 that two pinholes were found in the weld at the bottom of the tank used in the multi-nuclide removal system ALPS at Fukushima I Nuke Plant, where a small leak of contaminated water was found. The company thinks the water leaked from these holes, and plans to insert a camera inside the tank to further investigate the cause [of the pinholes]. According to TEPCO, two pinholes were found at the weld, about 30 centimeters apart. They are less than 1 millimeter in diameter and couldn't be found by visual inspection. TEPCO applied colored solvent [on the weld] to find the holes. Cause of the pinholes? Bad weld, bad inspection, I can't think of anything else. Looking at the diagram that TEPCO provided the other day, there are total 6 Batch Treatment Tanks in ALPS, two each in the three lines. There are numerous other tanks and vessels to absorb radioactive materials, and they are all welded. I wonder if they are properly inspected - i.e. each and every one of the tanks and vessels inspected by professionals and regulatory officials, instead of copying the data of a good weld. Bernanke thinks Fed's commitment to having a flexible policy of adjusting the bond purchase as needs arise should be a good enough signal to the financial markets. The markets don't seem to agree. There was a reporter from Japan's Nikkei Shinbun, who asked Chairman Bernanke, "What do you think of Bank of Japan under Kuroda? Do you support Kuroda?" I was embarrassed for him. From rice to be grown and harvested in 2013, the national government is buying up 250,000 tonnes for the government's rice reserve; of that, 40,000 tonnes, or 16%, may come from Fukushima Prefecture. The Fukushima prefectural government is encouraging farmers to participate in the government bidding if they fear "baseless rumors" driving down the price for their rice in the open market. Once it is purchased by the national government, Fukushima rice becomes just "rice". The reserve rice will be released to the market a few years later as the need arises (shortage of rice, request from food companies) and as part of the regular inventory control. The consumers won't be able to tell it is rice from Fukushima, or the products (rice crackers, miso, shochu, etc.) is made with rice from Fukushima. This year, farmers in some of the areas that weren't planted because of the nuclear accident (i.e. former evacuation zones) are happily growing rice with full intention of selling to consumers as long as it is judged "safe" (i.e. testing below the national government's safety standard of 100 Bq/kg of radioactive cesium). Of the 250,000 tonnes of 2013 rice that the national government plans to buy from farmers and distributors for its rice reserve, Fukushima prefecture has asked for 40,000 tonnes allocated for Fukushima, the largest amount in the country, and the request has been approved. The amount is about 200 times more than 214 tonnes in 2012 that were actually purchased by the government. Since the price of rice for the rice reserve is determined by auctions, it won't be affected by baseless rumors after the Fukushima I Nuclear Power Plant accident. Farmers in the areas set to resume rice-growing fear the price drop. The prefectural government will encourage these farmers to utilize the rice reserve system. The prefectural government explained to municipal officials in a meeting regarding the rice growing in 2013 on January 23 in Fukushima City. According to the Ministry of Agriculture, Forestry and Fisheries, the bidding is done by open bidding. There will be several biddings from January to June, before the planting. Farmers and distributors registered [with the Ministry] can participate, and the lowest bid will be successful. In case of Fukushima Prefecture, farmers and distributors can bid until the allocated 40,000 tonnes are bought by the government. The purchase price by the government will apply to all rice, and the average price for the 2012 rice was 13,406 yen per 60-kilo bag. According to the Ministry of Agriculture, the price is "equivalent to the market price when transportation costs and sales and promotion expenses are deducted". However, since the bidding is done before the harvest, it is possible that the price will be different from the market price. In order to encourage more bids, the bidding allocations for prefectures have expanded for the 2013 rice. Fukushima Prefecture applied for 40,000-tonne allocation in order to "meet the demand from farmers" as a countermeasure against baseless rumors. The prefectural government will encourage farmers to utilize the system by pointing out the merit that a certain level of income is guaranteed under the system. According to the prefectural government, Fukushima had 360,000 tonnes of rice harvested in 2012. So, Fukushima Prefecture is planning on selling over 11% of this year's harvest to the national government, who buys up rice using taxpayers' money. According to the Ministry of Agriculture (February 2013), Koshihikari rice grown and harvested in "Nakadori" in Fukushima (including cities like Date, Fukushima, with high soil contamination) in 2012 was selling for 15,034 yen per 60 kg bag in the open market as of December 2012, which was about the same price level as rice from other prefectures. And that was the lowest-priced rice from Fukushima. Go figure. The latest auction results announced by the Ministry of Agriculture (5/28/2013) shows 11,000 tonnes of rice from Fukushima Prefecture have been purchased by the national government in 8 auctions. (UPDATE) TEPCO's handout at today's press conference shows that even if they didn't have the exact measurement of strontium, they had all-beta measurement that included strontium of the May 24, 2013 sample. Compared to the December 8, 2012 sample that had 150 Bq/liter of all-beta, the May 24, 2013 sample had 1,900 Bq/liter of all-beta, one order of magnitude more. The amount of tritium also jumped by one order of magnitude. At that point, TEPCO could have said something. Instead, they again withheld the information until they had the strontium amount correct. During the meeting of the Nuclear Regulatory Authority on June 19, 2013, Commissioner Shimazaki raised the issue of this tardy reporting by TEPCO, finding it problematic. But the NRA chairman Tanaka put in some kind words for TEPCO saying it would take about a month to fix the amount of strontium. Yomiuri Shinbun (6/19/2013) reports that TEPCO was in possession of the May 24, 2013 data disclosed today (see above) as early as June 3, 2013. TEPCO being TEPCO. Same old story that never seems to end. 500,000 Bq/liter of tritium from the water sample from May 2013, one order of magnitude higher than the sample taken in December last year (29,000 Bq/liter). Very low concentration of radioactive cesium. Source of contamination: past leak from Reactor 2 screen pump room. The contaminated water leak from April 2011 at Reactor 2 water intake. Soil amendment along the east side (ocean side) of the turbine buildings, fill the gap underground. Sankei Shinbun reporter is asking, "If tritium, strontium have been discovered in the groundwater which naturally flows into the ocean, is it safe to assume this contaminated water has been flowing into the ocean?" Did you disclose the discoveries in May and early June, he asks. TEPCO says it was only yesterday they got the strontium data. Notes from the press conference in my latest post. (UPDATE 4) It is per liter, confirms Kino. Phew. 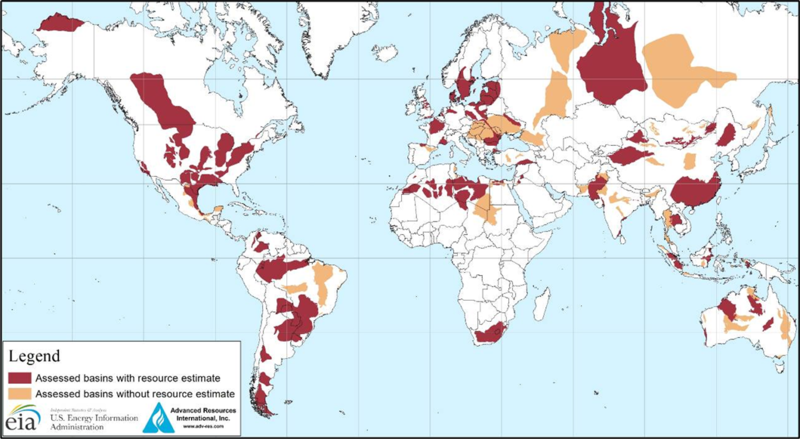 It is still very high for groundwater, supposedly not contaminated (at least not by much at all). (UPDATE 3) Jiji Tsushin says the unit is per liter, not per cubic centimeter. (UPDATE) "Higher than normal", says Jiji Tsushin. Details to be discussed in the ad hoc press conference at 10AM, June 19, 2013 (Japan Standard Time). We will hold a press conference at 10AM today (June 19) on the third floor of our headquarters building [in Tokyo] to explain about high levels of tritium and strontium [from the groundwater sampled] from one of the observation holes on the east side of Reactor 2 turbine building. This ad hoc press conference can be viewed via live stream. #Radioactive Japan: LDP's Policy Chief Sanae Takaichi Declars "No One Has Died from Fukushima Nuclear Accident, We Have No Choice But Use Nuclear Plants"
That's how Asahi Shinbun reports. It is hard to tell for certain without the full context, but I think she meant "no one died from acute radiation sickness caused by the nuclear accident", just like many foreign experts including former NRC Chairman Gregory Jaczko (though now a changed man, it seems, after having visited Fukushima in 2012) have said over the past two years. People in Japan who read the Asahi article are outraged. Several workers have died at Fukushima I Nuclear Power Plant while working to contain the accident. There are people who committed suicide after the nuclear accident because of radiation contamination ruining their crops and cattle. There are people who died of hunger and thirst inside the 20 kilometer evacuation zone, as officials, being bureaucratic officials, prohibited the family members from entering the zone to rescue their parents, siblings, relatives. (Why these people nonetheless followed the officials' orders is another issue.) That zone wouldn't have been set if there had been no nuclear accident. There are people who died on the way to distant shelters, who died at shelters for lack of food and heat, and who wouldn't have needed to be taken to the shelters, spending 10 or more hours on an uncomfortable bus, if there had been no nuclear accident. But they certainly did not die from acute radiation sickness, for sure. Sanae Takaichi, Policy Bureau Chief of LDP, said in a meeting of Hyogo Prefecture LDP in Kobe City on June 17, "It is not that there has been a death from the nuclear accident, including at Fukushima I Nuclear Power Plant. We have no choice but utilize nuclear power plants as long as we secure maximum safety", emphasizing her (the party's) intention to restart nuclear power plants. Emphasizing the policy to restart nuke plants because "no one has died" may draw criticism, when there are many people displaced because of the nuclear accident. The final draft of LDP's campaign promise for the coming Upper House election includes the push for restart of nuclear power plants by saying the party will "make maximum effort to win the understanding of local municipalities". Ms. Takaichi said the stable supply of power is indispensable for maintaining the competitiveness of industries, and that "a nuclear power plant costs enormous amount of money if we think about the cost of decommissioning, but while it is operating the cost is relatively cheap." Her boss, Prime Minister Shinzo Abe, has been busy peddling Japanese nuclear power technologies and plants in Asia and central Europe, saying his country has learned the lessons from Fukushima and the country's nuclear technology is better than ever. In other words, après moi, le déluge. #Fukushima I Nuke Plant: TEPCO's PR Shouts At Italian Journalist, "If You Cannot Follow My Orders, Go Back!" On June 13, 2013, TEPCO invited foreign correspondents to Fukushima I Nuclear Power Plant to show them the progress that's been made at the plant. Mr. Pio d'Emilia is the Far East correspondent for SkyTG24, an Italian news TV, who went on the tour, only to be solded down by an agitated TEPCO employee for asking to see the "cage" (steel frame structure over the Reactor 4 building that TEPCO has just recently completed). He sarcastically writes, "This was worse than North Korea!" TEPCO's PR people are a really weird bunch. They are the ones who invited journalists to the plant. But they obstruct our work, and shout at us non-stop. Contaminated water has been leaking like sieves, but they do their utmost best to convince us that Fukushima I Nuke Plant is "properly managed", and it is in "safe" condition, and work is proceeding "according to schedule". So they keep an eye on us all the time. Under the pretext of "we consider your safety first", they don't allow us even to stop for a moment, they put their hands on our camera lenses to stop us from taking pictures. This is worse than a North Korean armed guard. What are they afraid of? Having safety threatened? But where is that safety? Wasn't it TEPCO to start with, who built nuclear power plants irresponsibly, without qualified competence, who continued to operate the plants and by doing so severely harmed public safety? d'Emilia: "I would like to see the new "cage"." TEPCO PR: "100 meters ahead!" d'Emilia: "I would like to see that." TEPCO PR: "We're going to walk there! Keep calm! You hear me? If you cannot follow my orders, go back! Understand?" d'Emilia: "Wow wait a minute. I'm just asking questions..."
TEPCO's PR person was having a bad full-face mask day, I suppose. (UPDATE 6/19/2013) TEPCO found two pinholes in the weld, says it will investigate why these pinholes are there. TEPCO released the photographs of the weld that leaked highly radioactive water that was going to the Line A of ALPS multi-radionuclide removal system at Fukushima I Nuclear Power Plant. The photographs are not big enough to see the details of the weld clearly, but it looks like a poor weld. Another rush job, I suppose. Overview of ALPS by TEPCO, here. ALPS stands for "Advanced Liquid Processing System", developed by Energy Solutions in Salt Lake City, Utah. I wonder which subcontractors of Toshiba did the welding of these tanks being used in the ALPS system. The weld in the photos above sure doesn't look like a "nuclear power plant" grade. The leak is apparently from the weld. Either they can't weld, or they can't test the weld. Or both. The water that leaked is after the treatment by SARRY, also a Toshiba system, to remove radioactive cesium. If you recall, SARRY, Toshiba's cesium absorption system, had a leak in February 2012 from what was clearly a defective weld of a pipe connected to the cesium absorption tank. TEPCO announced on June 16 that a leak was suspected from one of the tanks at "ALPS", multi-nuclide removal system in Fukushima I Nuclear Power Plant that TEPCO had started to test at the end of March. Highly contaminated water before the treatment by ALPS may have leaked. The surface radiation at the weld of the tank is high, at 0.2 millisievert/hour. TEPCO has stopped the test run to investigate the cause of the leak. It is the first time to stop ALPS due to trouble, TEPCO says, although the system stopped in April because of human error. According to TEPCO, the cylindrical tank of 6 meters high and 3 meters in diameter contained about 25 tonnes of contaminated water. At 11PM on June 15, a TEPCO employee who was inspecting the condensation on the tank found dried water spots in brown color on the saucer (receptacle) of the tank. The weld on the surface of the tank was found with higher radiation, and it is assumed that the contaminated water leaked from the weld. ALPS is being introduced to remove 62 types of radionuclides including strontium from the highly contaminated water. If the leak is confirmed, the tank will have to be replaced, which will delay the completion of the test run scheduled to run till the end of July. There are three lines, A, B and C, in ALPS. The A line, which has been on a test run since March 30, will be stopped because of this leak. The line B has been on a test run since June 13, and the line C hasn't been tested yet.